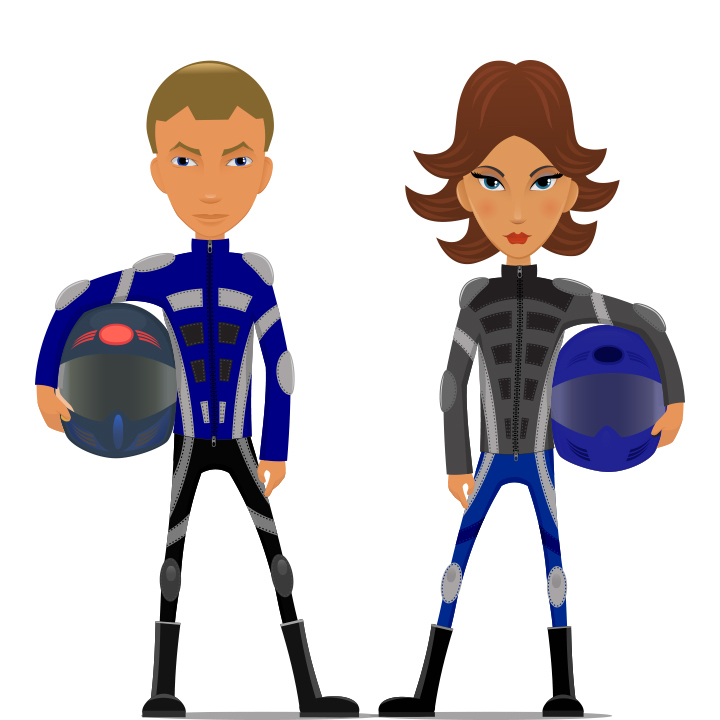 Meet the avatars, the players, the team; Becky and Andrew. Becky, in search of a compadre to share in her quest to experience regional sources of the elixir of life (a.k.a. coffee), found Andrew, a non-coffee drinking photomotomechanalist, to begin a grand adventure through the Americas. Oh, it’s already been done you say? Well these two haole gringos are doing it mo bettah! Armed with two matching KLRs, won (purchased) in a Los Vegas poker match (craigslist ad), and lovingly named Pinky and The Brain, they’ve managed to wing-it, sans plan, from their home state of Hawaii. With no end in sight, except for funds of course, check back often for updates of whereabouts and happenings along The Road to Aloha. Or click below to donate all (some) of your money to the cause. Or help us find a real cause. The cure for Rabies maybe? I don’t have any money to donate but I do have a couch, a tiny dog, a big heart and hugs for both of you, should you find your way back to San Francisco! Julio! Where are you now? Oh Vato! Silly pup. Did you find a way to Espiritu Santo? I’m another crazy haole cruising the americas from Hawaii (Kona) . I am taking a break at the moment but I will restart in Argentina in September. I hope to run into you guys somewhere along the way.Love the pics keep em coming! Awesome, Pat! I hope we do see you on the road! What’s your ride? I’m on BMW G650GS Sertao with a blue jacket. Don’t miss Semuc Champey in Guatemala. world’s finest swimmin hole and an exciting moto ride. The Rio Dulce (Corinto) entrance to Honduras was very easy but traffic and roads were pretty wild. you are welcome to crash in the casita at my house in vegas anytime. what camera / lens are your shooting these with. love the wide angle! are you running these through lighroom. cheers! Sorry they are long gone. Pinky has now traveled all the way to Chile and I hear there’s a plan for her to head back up to Alaska.